No doubt education gained in the classroom is beneficial, but there are lot more to learn apart from academics. The number of degree holders has increased while the job availability has declined. A degree will always be an asset, but if it is backed with extracurricular activities and real-world experience, it will become more valuable. Have you ever wondered why we bother going to college? To learn courses. Well, for that why is it compulsory to go to a place specially designed for this purpose? We can sit at home and read books. 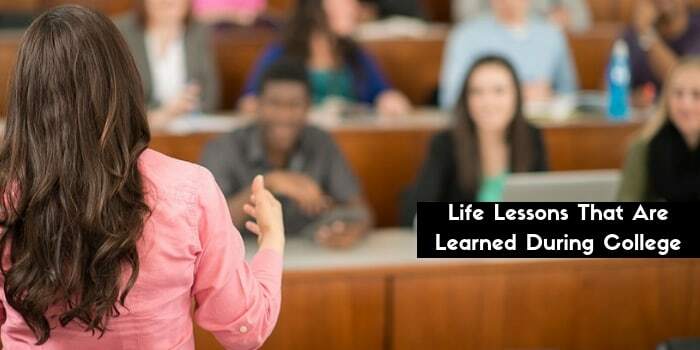 The most important lessons one will gain will be learned outside the classroom. Few of them are enlisted by our assignment writing help experts from Australia. Participating in internships, projects, and in student’s organization committee will help students to gain management skills. It’s one of the valuable and essential life skills which can be only learned by experience. Organizing a team, setting goals, and managing tasks are crucial for people of any age group at any position. It can be developed by doing budget management, task management, strategic planning, and team building. Personal growth does not stop after schooling, but the years spent in college are critical for individual growth. Doing networking and participating in community events are great opportunities for personal growth. It’s important to learn, reflect, and realize your potential. It can be developed in several ways, such as improving communication skills, balancing work life, adapting healthy habits, and identifying personal strength & weaknesses. Creativity is one of the most demanding skills of today’s generation. It can be done by generating curiosity about anything, brainstorming activities, and solving real-life problems. It’s among one of the most important leadership qualities for today’s generation. It’s a process that involves the discovery of new ideas and consolidates knowledge for future success in life. Involvement in the community is the best way to become engaged with people in your area and can be only learned outside the classroom. It helps to build character, establish a social reputation, and cultivates a sense of citizenship. It can be acquired by taking action in your community, empowering others, and fulfilling the civic duty. It does not only develop stronger communities but also help to build network. It only takes one person to change your life forever. Networking can be learned by joining clubs that take you to professional conferences, attending events with community leaders, and establishing professional identity. The advice received from the prospective connection can be helpful in your personal as well as professional career. It’s a priceless skill that not only opens windows of opportunities but also provides a more stable foundation for your future. The world is always in need of influential leaders. Leadership roles in campus and in the community help you to build character and gain experiences that cannot be developed in the classroom. Leadership qualities can be only learned through action, such as by participating in student organizations, college elections, or in your community. It’s the quality of engaging people to connect with each other and work towards a common goal. In many situations, it takes more than just a college degree to have an edge in today’s job market. Classroom education plays a vital role in everyone’s career, but real-world experiences are equally important. Participating in extracurricular activities and internship offer students a chance to apply their academic learning to various day-to-day life opportunities.